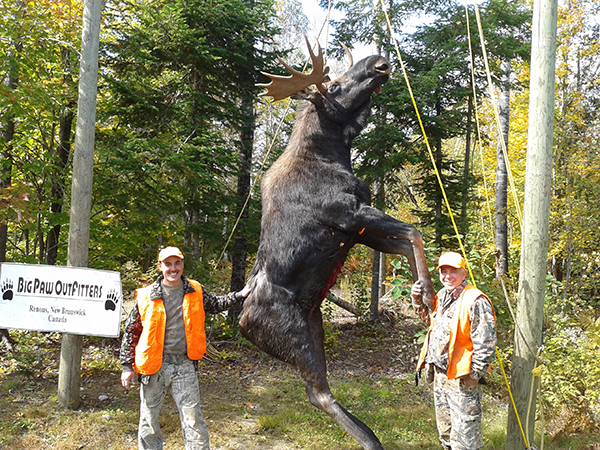 Your 5 day hunt begins the last Tuesday, Wednesday, Thursday, Friday and Saturday of September. 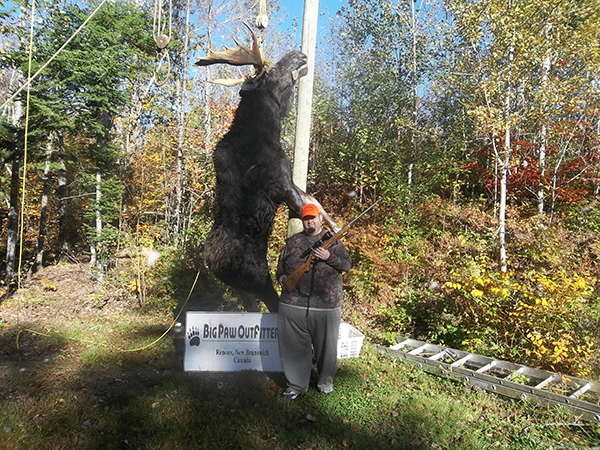 You would be welcome to arrive on Sunday before the hunt, this allows you to rest up before the hunt, try out your rifle and for us to become aquainted and update you for the following days of the moose hunt. 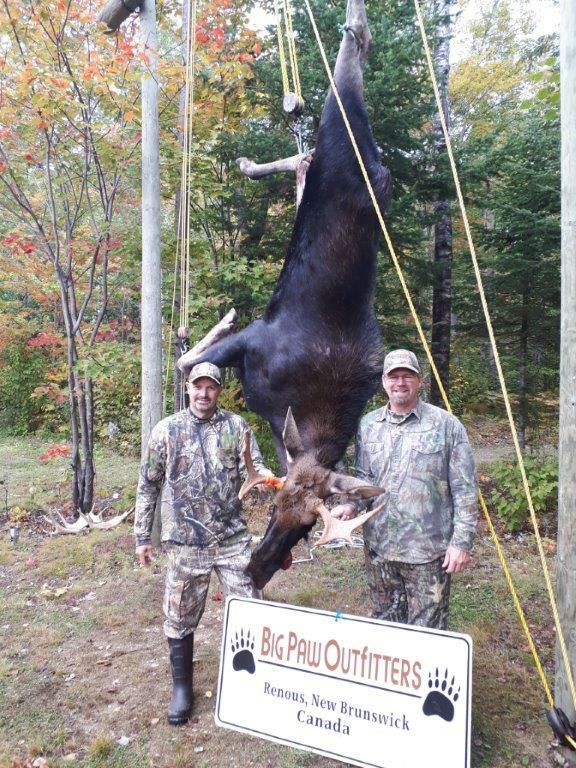 New Brunswick has a moose population numbering greater than 25,000. 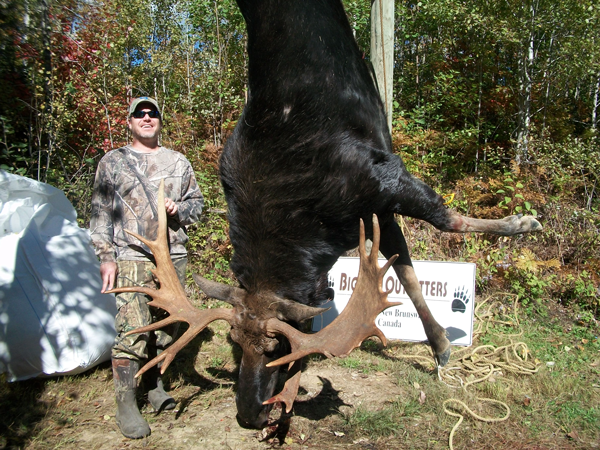 The biggest bulls top the scales at more than 1000 pounds and carry magnificent racks of antlers. 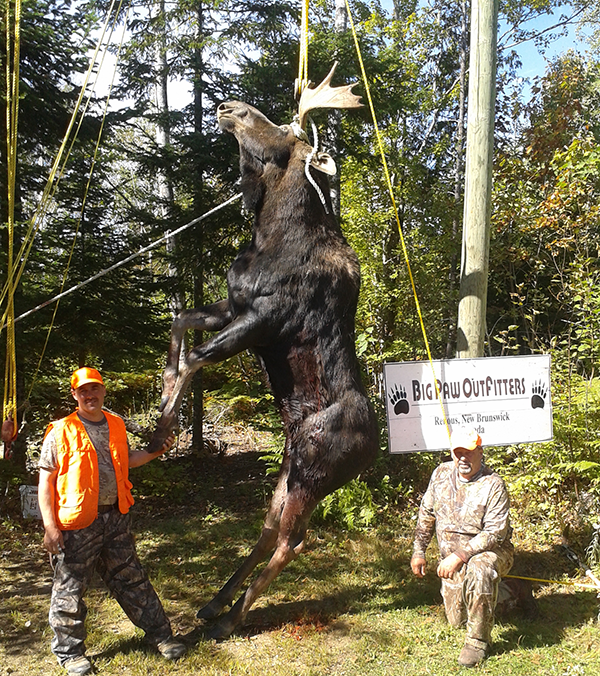 Since 1996 the N.B. 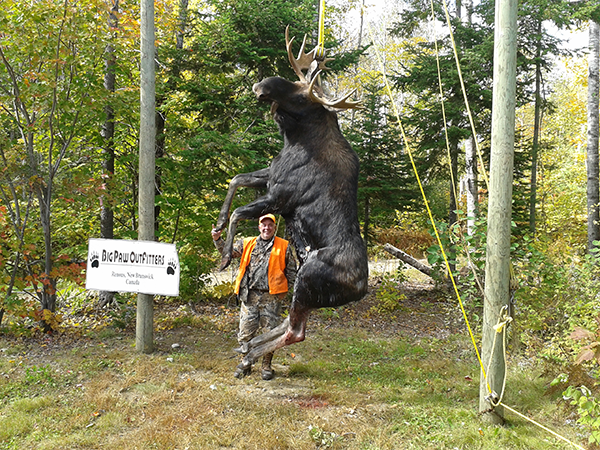 Government has allowed 100 non resident tags by a lottery system draw. 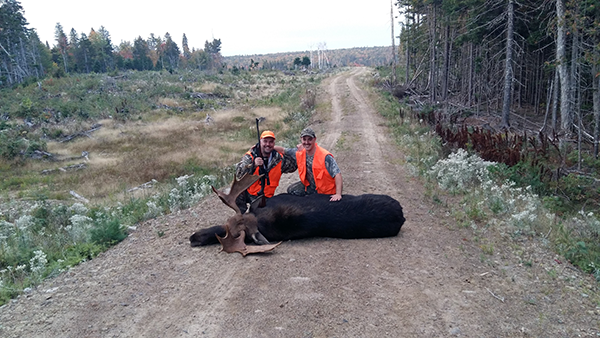 All moose hunters would be accompanied by a personal guide while he uses the moose calling techniques, after placing you in one of our tree stands or on a spot and stalk. 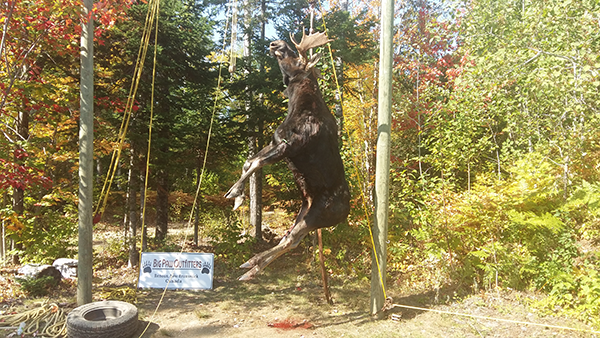 Moose calling is a very effective technique and can provide for some close encounters. 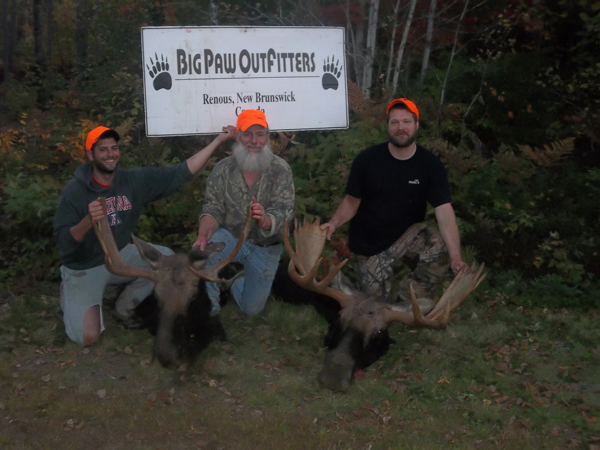 Archery black bear hunting and Atlantic salmon fly fishing is also available during the week of the moose hunt for an additional fee. 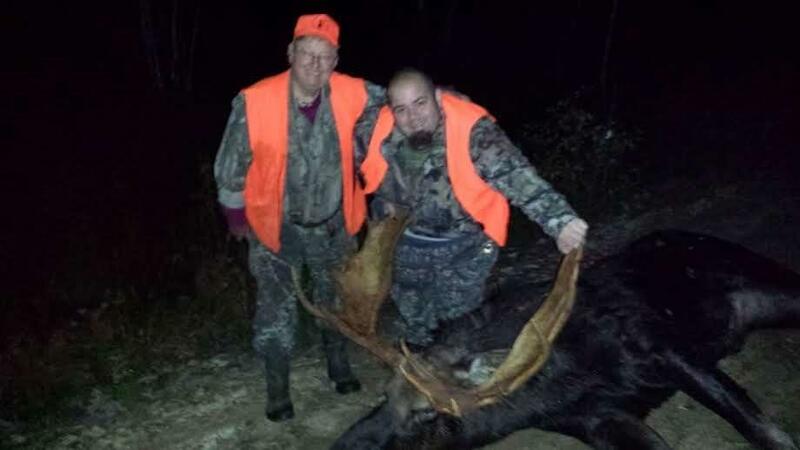 Hunter Orange is required on the moose hunt. 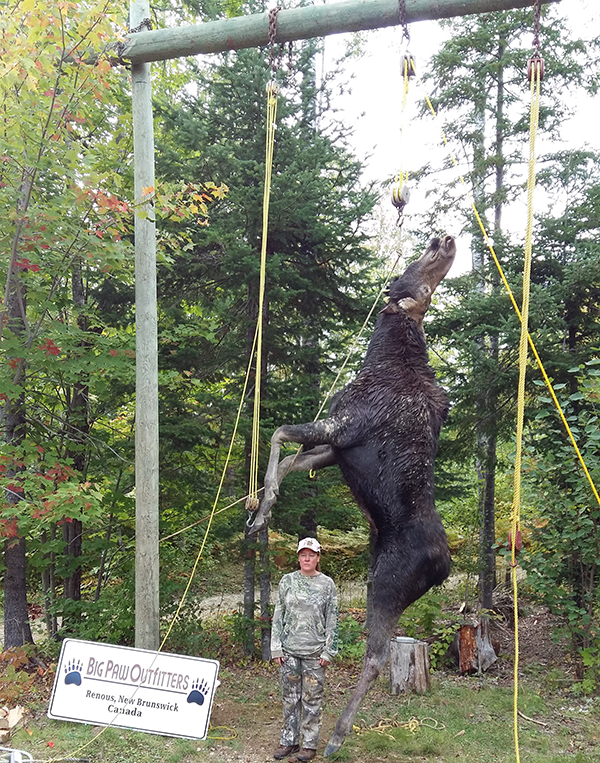 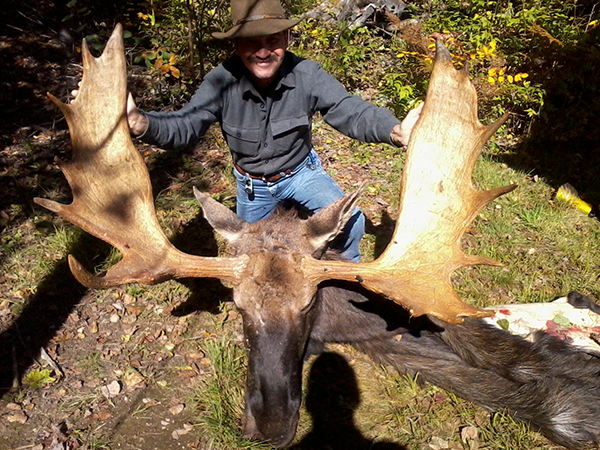 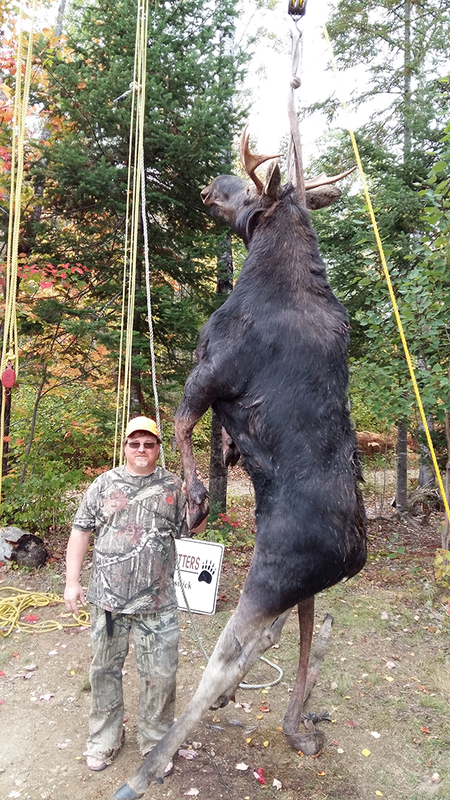 You are welcome to apply for a moose hunting experience of a lifetime. 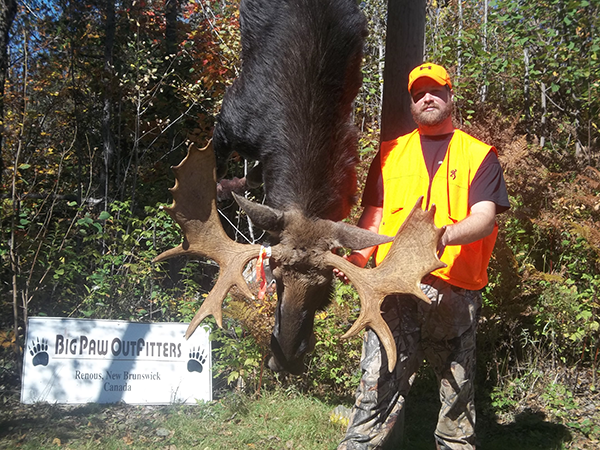 Please contact us before the end April 30th for more information on applying in the 2019 non-resident moose hunter draw or you can click here or by phone at 1-506-453-3826*.